Google Pixel 3 and the Pixel 3 XL just launched with latest hardware and software specifications. It features Snapdragon 845, Android 9.0 Pie out of the box, 4 GB of RAM to support the stunning firmware, and much more. The Pixel 3 possess the best camera module out there that is packed by the visual core. It also features a tweaked user interface with the new launcher. Here is the latest Pixel 3 Launcher APK available for download. The latest Google Pixel 3 launcher targets Android 9.0 Pie. So only devices running Android 9.0 Pie or later will be able to install this version. It also comes with the highly anticipated Google Assistant. In the previous leaks of the Pixel 3, we saw the Assistant button embedded within the Google Search bar replacing the voice search icon. 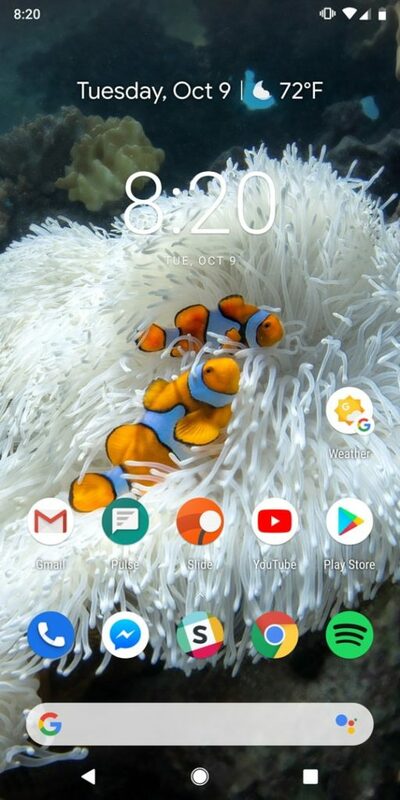 Following you can get the latest Pixel 3 and Pixel 3 XL launcher APK. For compatible devices, you can just grab the latest Google Pixel Launcher from the Play Store. For devices other than the Pixel 3 simply grab the APK, extract the zip, and sideload to phone. Google Pixel 3 Launcher comes with Version: 9-4902955 (602) and package name is the same. Thanks to AndroidPolice for the screenshots and images.